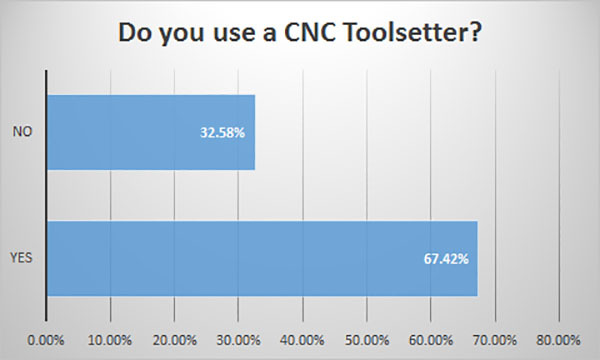 This is the second set of results from our 2016 CNC Probe and Toolsetter Survey. In Part 1, we focused on CNC Probes. 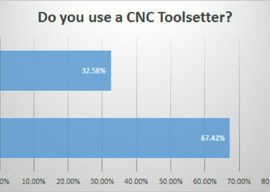 In this article, we’ll be focused on CNC Toolsetters. 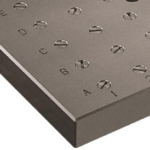 What is a CNC Toolsetter? A toolsetter is a device similar to the one pictured above that sits on the machine and allows the measurement of tool length, and for the fancier models, tool diameter as well. 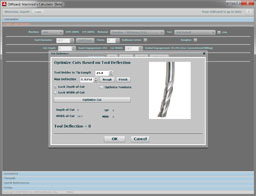 Having accurate Tool Data is critical for CNC success. 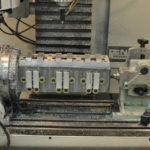 CNC Machines are blind, for all intents and purposes, and they rely on accurate information about the tool’s dimensions as well as where part zero (or the other work offsets) sit in order to properly orient themselves to execute the gcode part program. 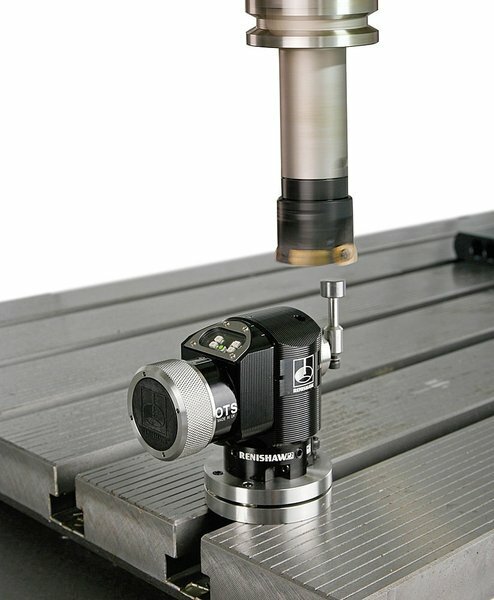 Oversimplifying a bit, a 3D Probe is great for given the CNC Machine the ability to “see” the part and fixtures, while a Toolsetter helps it to “see” its cutters. Without such devices, the operator is responsible for telling the machine about that information. The operator can be just as accurate (or even sometimes more accurate) with the information, but by automating those tasks we save time, reduce the likelihood of human error, and general make things faster and easier. One final point before we move on to the survey results–there are cases where a Toolsetter can actually detract from productivity. 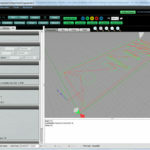 The Toolsetter is all about optimizing the operator’s efficiency by automating tasks. However, time spent interacting with the Toolsetter is time taken away from making chips. 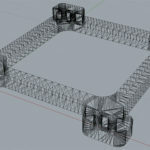 An alternate technology would be a tool pre-setter that allows the tool data to be taken offline so the machine can spend a greater percentage of its time making chips. The Toolsetter optimizes Setup Time while the Tool Presetter optimizes Cycle Time. 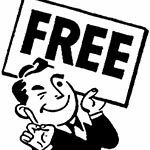 CNC Cycle Time vs Setup Time Savings: Which is Better for My Shop? Do You Use a Toolsetter? The survey shows a high market share. 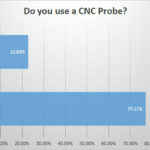 Similar to my question about 3D Probes which also showed a high share, I wonder if CNC’ers who do not have Toolsetters were less likely to participate in the survey? Perhaps some weren’t even familiar with the term “Toolsetter”. What kind of machine do you use your Toolsetter on? Pretty similar distribution to 3D Probe machine types except CNC Lathes are coming on more strongly for Toolsetters. That’s not too surprising as a 3D Probe is perhaps less useful on a Lathe. How do you use your Toolsetter? The frequency for each use makes sense. Even a cheap toolsetter can help set tool lengths. It takes a more expensive model to check diameter as well. And broken tool detection seems likely an issue for Lights Out Machining or very highly automated machining as the operator can monitor tool breakage pretty easily. 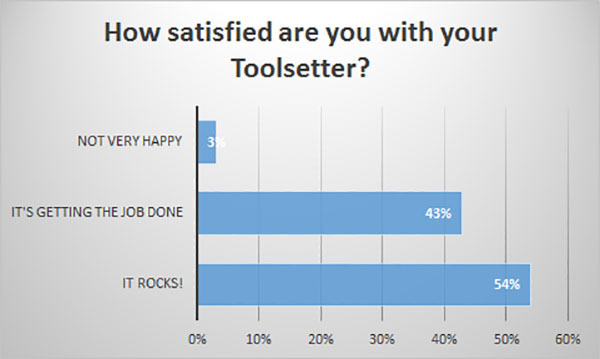 How satisfied are you with your Toolsetter? 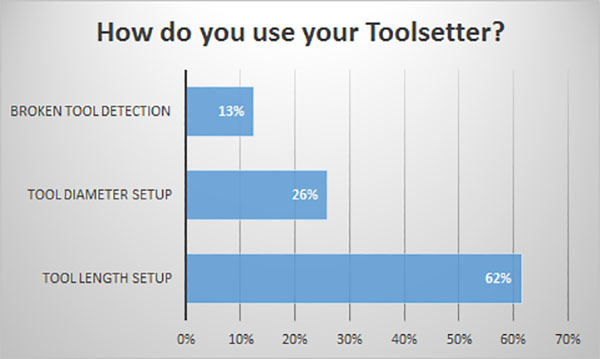 Much like the 3D Probe part of the survey, Customer Satisfaction with Toolsetters is very high. This suggests they may be a good investment, or at least that those who made the investment are happy with the results. Top Shops are 81% more likely to invest in on-machine toolsetters than the average shop. 63.4% of Top Shops use them. I mentioned Tool Presetting above, and we should note that 33% of Top Shops use Presetting. That’s a pretty strong endorsement to do something better than sliding a gage block under the tool at setup! 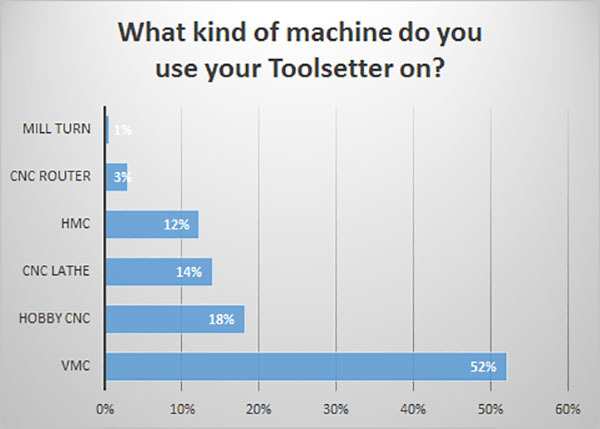 What do you think of these survey results and what has your experience been with Toolsetters? Tell us below in the comments! I would like to see the other questions answered for each category of “What kind of machine do you use your tool setter on?”. What is the average cost of the toolsetter pictured (Renishaw)?